Responsible for coordinating international and domestic sport media. Responsible for destination, event, social media and communication outside of sport media. 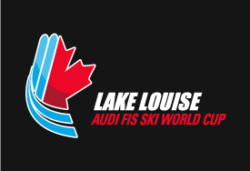 The Media & Accreditation Office is located at the Fairmont Chateau Lake Louise in Pipestone B. Accreditation can be picked up starting 12 pm on Tuesday, November 20, 2018. Media can file from the Media Centre at the Northface Bistro in the Whiskey Jack Lodge at the Lake Louise Ski Resort. There are 60 workstations with hard-wire. A complimentary wireless connection is also available to a password protected Lake Louise hotspot.